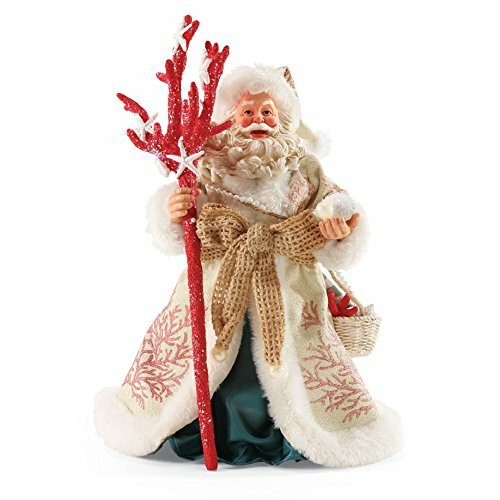 In his right hand Santa holds a coral staff decorated in sequined shells. The coral motif is ornamented on his robe. In his left hand is a gift from the sea, a pearl.